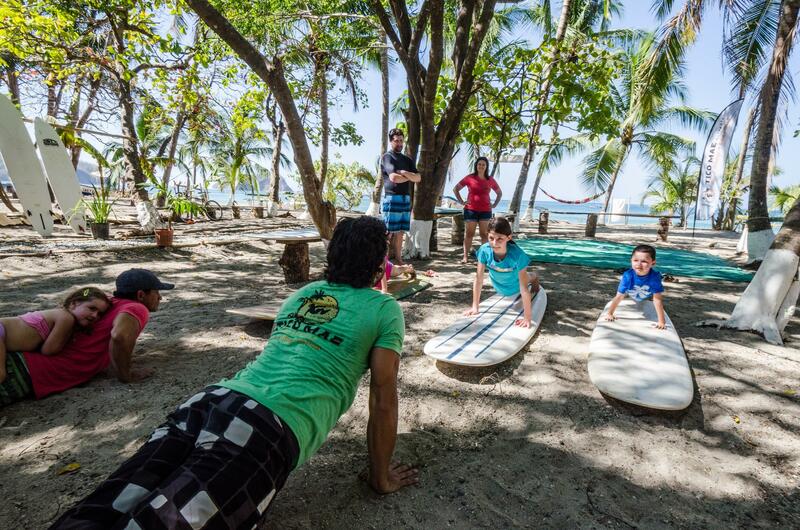 Learn the basic exercises to prepare yourself for surfing, with James Flores of Tico Mae Retreats. We had a taste of family surf camp with James and he is amazing! Amazing surfer, great teacher and just wonderful with children- he had my 9 year-old surfing in no time and my 2 year-old even rode a little wave! 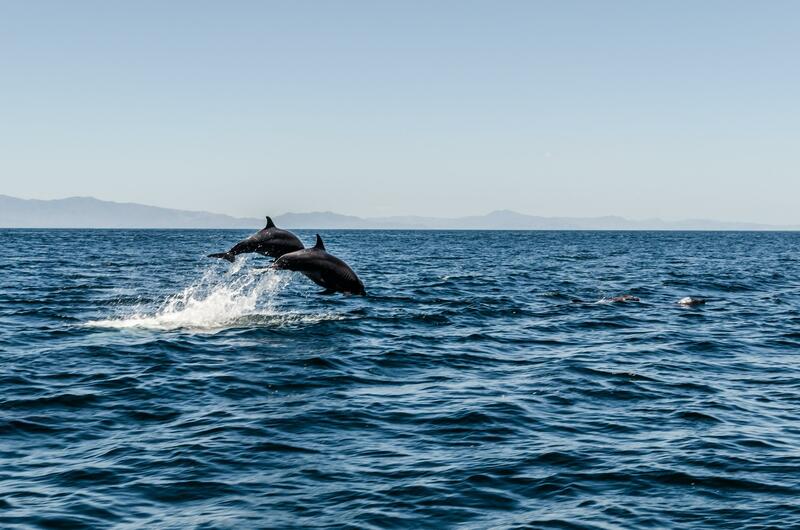 Sàmara is a perfect destination for a family get away and I can’t recommend James enough!! 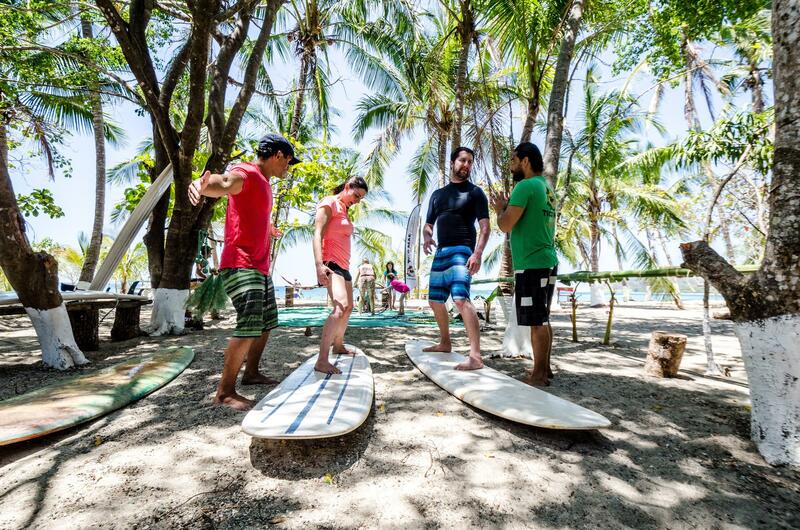 The surfing retreat in Costa Rica was one of the best trips I’ve ever been on. 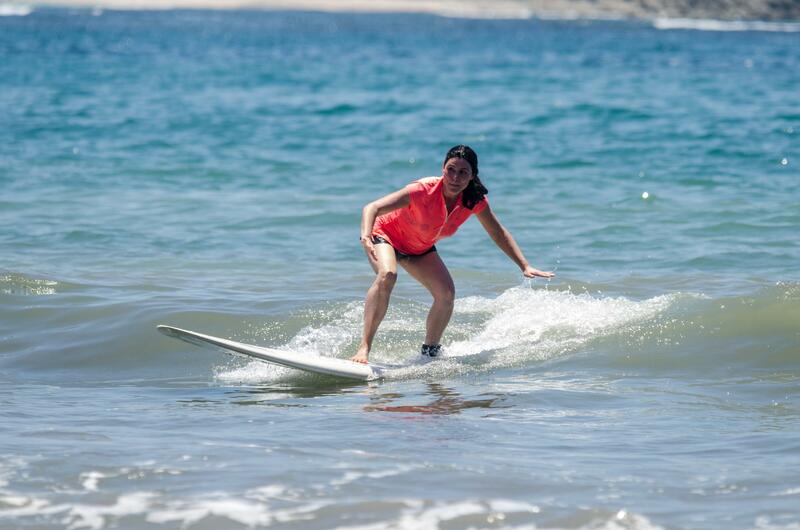 At 53 I never thought I would try surfing, but with James’ expertise and personal attention I caught a few waves and I couldn’t believe how much fun it was! I now understand why people become obsessed with this sport. I will never forget Cindy and her entire staff at hotel Samara Paraiso, and the incredible group of people that I shared this unique experience with! James is an excellent teacher! It was truly an amazing week, just what we needed and more. I learned more in one hour here than in all the years I’ve spent dragging myself out in Dog Beach in San Diego. Surfing and yoga have big impacts on all aspects of your life. Soak up the beauty and energy of tropical Samara… Awaken your senses during a meditative hike through the jungle, share meals and experiences with new friends, and transform yourself into a more relaxed and vibrant you! 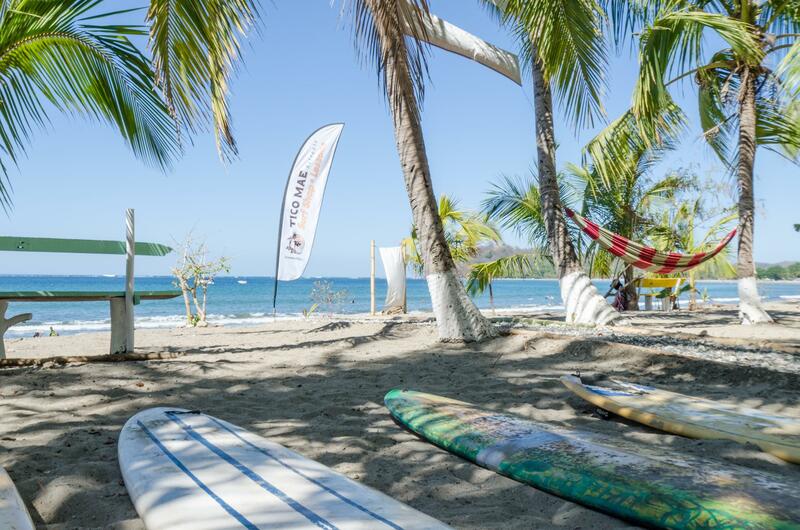 At Tico Mae Retreats, we will explore the art of wave riding, find presence in daily yoga, and experience Costa Rica’s natural beauty and harmonious way of life. Your transformational program is paired with a variety of fresh, local dishes. We encourage you to relax under the tropical sun and enjoy the magic of this place. You can learn to surf at any age! We love to teach all ages and we do it in ways where you learn about muscles, get exercise and have FUN. You will receive personalized attention, tailored to your level of experience. That’s the only way we teach… one-on-one, or in small, focused groups. Copyright © 2018 Tico Mae Retreats. All rights reserved.